Jeff Cooper is credited with having created the "El Presidente" shooting drill when charged with training the security detail for a South American president. It was Cooper's belief that the drill was not a tactical exercise, but rather one that gauged an developed dexterity. The universe of handguns owners and shooters is vast, and there is a very good chance that many of you have never heard of "El Presidente", or if you've heard of it...don't know what it is. Trust me—you should get to know El Presidente. The late Jeff Cooper is considered the dean of modern handgunning, and popularized the idea that, "Hey, maybe we should hold onto the gun with two hands." He started Gunsite (the American Pistol Institute), which for many years was the preeminent private firearms training facility in the country, if not the world. Maybe it still is, but I don't want to get involved in that argument. Prior to starting Gunsite, Cooper was a Marine who served in the Pacific in World War II. He saw a little action, and after the war did a little work for the OSS/CIA in the same area. About fifty years or so ago Cooper was hired to train the bodyguards of the president of a Latin American country. He developed a shooting drill he named "El Presidente" to not just help train those bodyguards but measure their skill level. The El Presidente drill requires three silhouette targets set in a line, with three yards between the targets. The shooter starts ten yards uprange from them, facing AWAY from the targets, his (or her) hands above his shoulders in a "surrender" position. At the start signal (this is a timed drill), the shooter turns toward the targets, draws his weapon from concealment, and shoots each target twice. The shooter then performs a reload (spare magazines/speedloaders also concealed) and re-engages each target with two rounds. While relatively simple, the El Presidente requires every skill you need if you are to be considered competent with a handgun when it comes to self-defense—the draw and a reload, both from concealment, movement (the turn), and engagement of multiple targets. Cooper considered par on this drill a perfect score in ten seconds, back when most everyone shooting it was using .45 ACP 1911s. Here's a look at the current USPSA classifier stage diagram of the El Presidente shooting drill. The El Presidente is still with us. It (in slightly modified form) is still used as one of the classifiers used to test skill in the USPSA. The modern USPSA version has moved the targets closer (only three feet apart instead of three yards) and removed the concealment requirement, but no matter which version you choose to try you'll still need to master the basics of weapon manipulation. I was recently at a new product rollout for a MAJOR ammunition manufacturer, and as part of their dog and pony show they had a well know firearms trainer put on a little demo. Since we were gunwriters, we presumably knew what we were doing, so he wasn't training us but rather showing us how he did his training. Like most firearms trainers he has convinced himself his opinions should carry the weight of gospel, and while I did learn a few things from him, I was disappointed and frankly surprised to hear him refer to the El Presidente as irrelevant. Many trainers don't like competition shooting (for a number of reasons both right and wrong—but mostly wrong—that I don't have the space to go into here), but I think this trainer was suffering from an inability to separate his opinion of competition guns and gear from the drill itself. 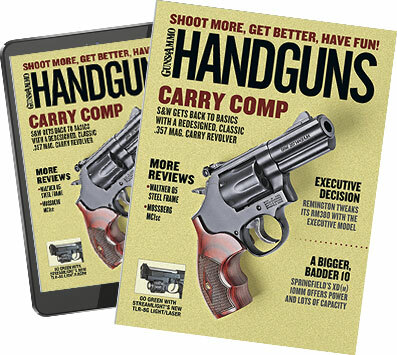 Even if this trainer was ignorant of the circumstances surrounding Jeff Cooper's invention of the El Prez half a century ago, one look at the drill, and the skills that are required to master it, should prove its worth. No drill which helps you practice sight alignment and trigger control is worthless, and the El Presidente does much more than that. It was designed before there was such a thing as a "race gun", and, to be honest, will test your gear as much as it does you. You can shoot it with a tricked-out competition gun, a box-stock Glock, even a revolver. The last time I shot the El Presidente I was using my carry gun, which at the time was a SIG P226. While the drill is commonly used with USPSA cardboard silhouette targets, there's no reason you can't use any type of target you want if your goal is just to improve your skills. The only way to become competent at shooting and weapon manipulation is practice, and that practice should include drills (live fire as well as dry fire). Sure, there are hundreds of drills out there which will help you train and attain and maintain proficiency with a weapon, but the El Presidente was the first modern "combat" drill, and it is still useful and relevant today.